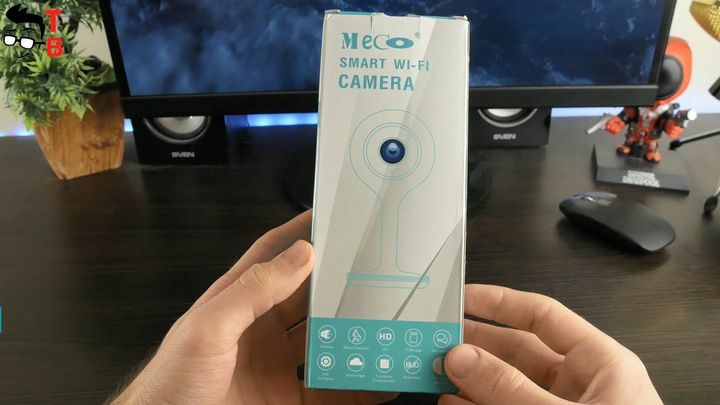 Today we have unboxing and review of very interesting WiFi IP camera from Meco. This is Chinese manufacturer, but it sells products all over the world. For example, this IP camera you can buy on Amazon. One of the main feature of Meco WiFi camera is design. It is very compact and simple, which is good for baby monitor or Security Surveillance. 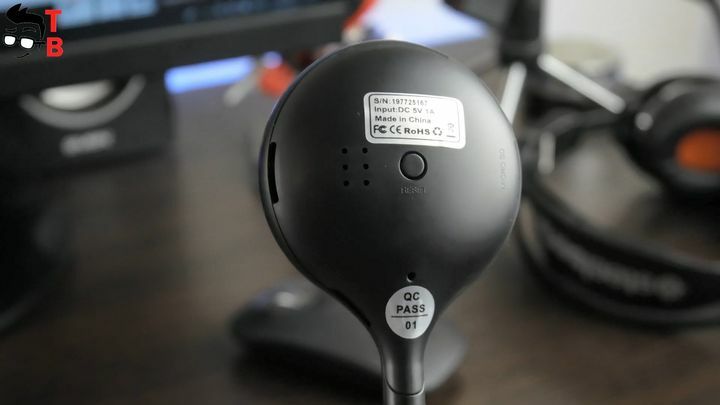 The camera records video in 1080P Full HD resolution. 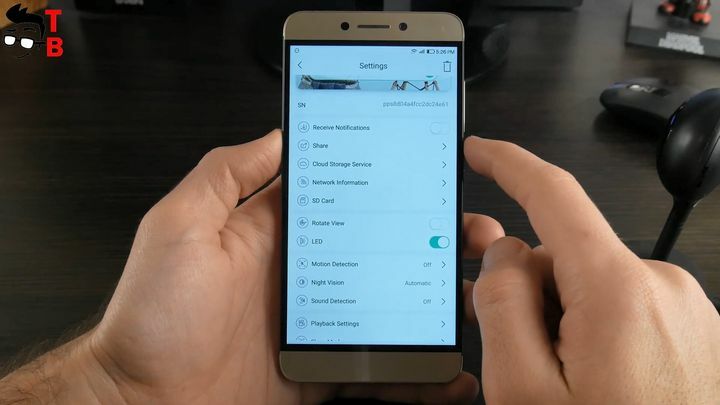 There is night vision mode, sound and motion detection, two-way communication, and video playback though a special app on smartphone. So, I want to start with unboxing, and then we will talk about all features of Meco Wi-Fi IP Camera. The IP camera comes in a cardboard white box. On the front panel, you can see a camera image, company name and main functions. Inside the box, I found IP camera, USB cable and user manual. By the way, the user manual is really useful, because there is tutorial how to connect the camera to smartphone, how to use different functions, etc. If we talk about design of this camera, it has round head with camera lens, and flexible feet, so you can place the camera on any surface. 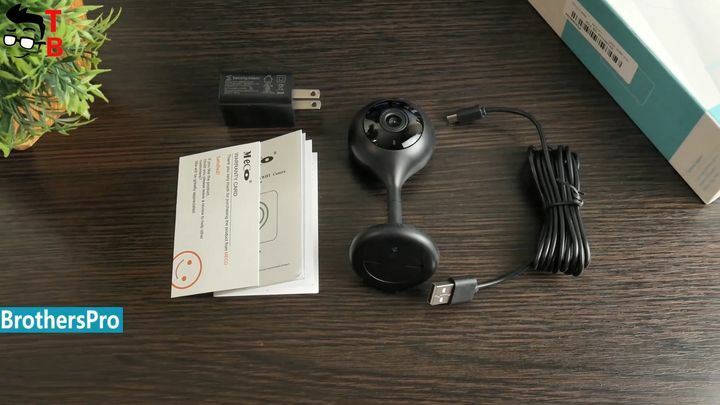 By the way, Meco WiFi camera looks very similar to Xiaomi CHUAGMI 720P IP camera, which we reviewed about one year ago. The camera comes in a single color option – Black. The design is unremarkable, which is very good for security surveillance. Here is camera lens. From other side you can see speaker, microphone, reset button and slot for microSD memory card. That’s all! The design is very simple, so there is nothing to talk about. If you are interested in specifications, then you should know about few things. The camera uses 1/3-inch CMOS sensor with f/2.0 aperture and 110-degree viewing angle. The device supports only 2.4G Wi-Fi, but not 5G. As for the main features, there are many of them. First, this is Full HD 1080P resolution. 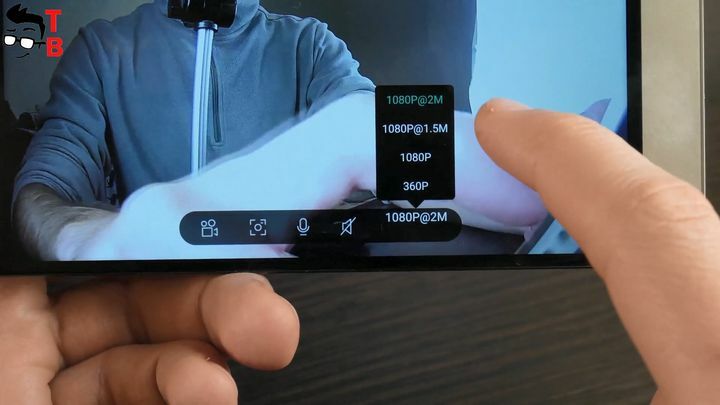 As I already said, the similar camera from Xiaomi records video in only 720P. But this camera offers a clear and high quality video. Also, the camera has night vision, sound and motion detection and two-way communication. We will talk about all these functions a little later. 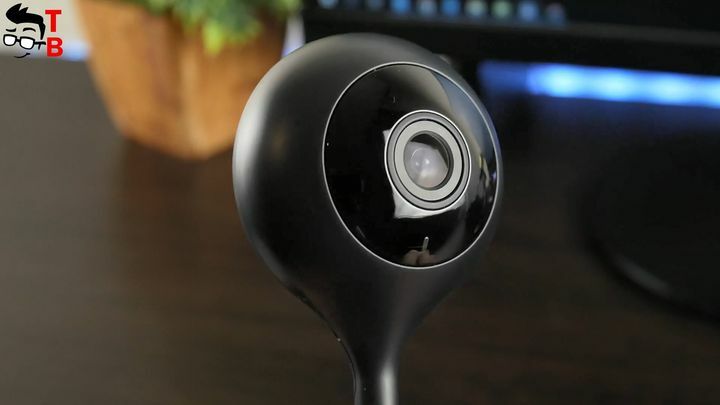 Meco camera has app companion for smartphone to watch real-time video. Also, it allows playing back the video at any time, but before that you need to insert the microSD memory card. 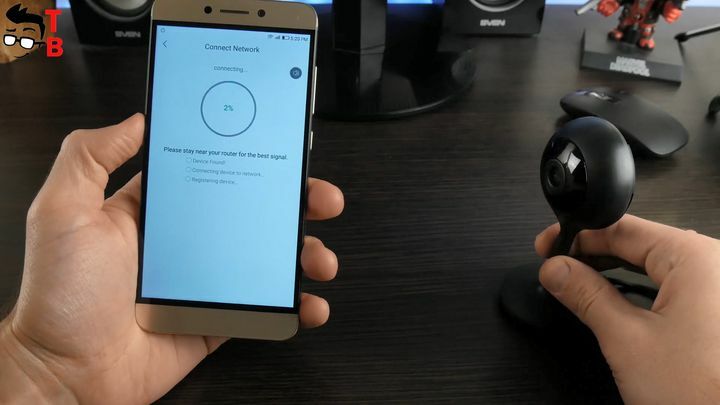 Now, I want to show you how to connect Meco Wi-Fi camera to smartphone. 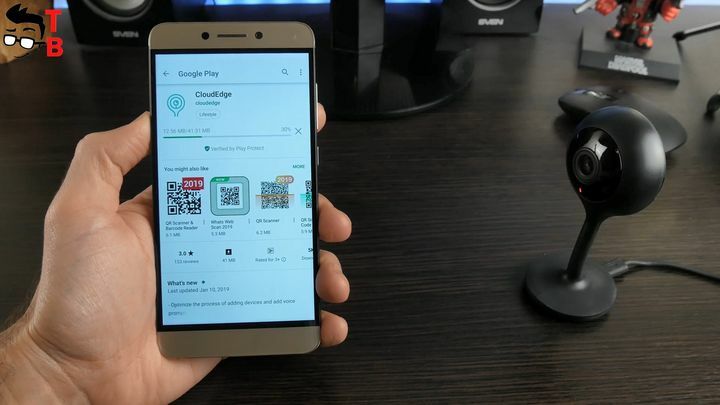 First, you need to download companion app on your phone called Cloud Edge. It is available both on Android and iOS devices. After that, you need to open and register new account, if you don’t have it yet. Then tap on the big green round, and choose the camera. It’s time to turn the camera on, if it is still off, and click next. Now, press and hold reset button for about 5 seconds. The next step is to select your WiFi network and enter password from it. The last step is to show this QR code to the camera. After you hear a tone, press the next button. Wait until the end of connecting. It will take a few seconds. That’s all! 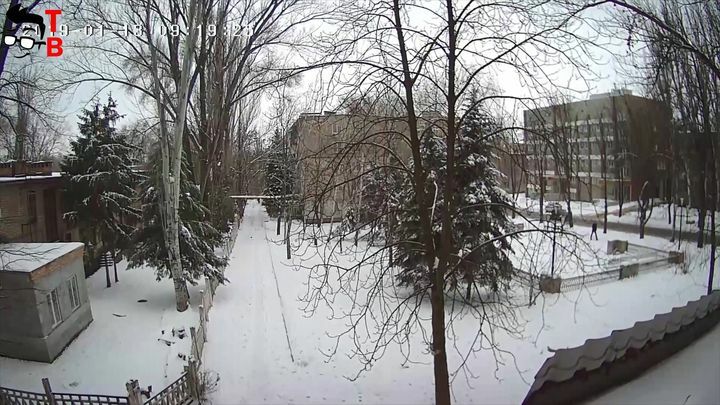 As you can see, it is much easier to connect Meco camera, than Xiaomi device. So, here is how camera app looks like. On the top, you can see real-time video. You can choose video resolution: 360p and 1080p. The Live tab provides following options: Screenshot, Intercom, Record and Motion Detection. As I already said, the camera has speaker and microphone, so it supports two-way communication. You can hear what happens in front of the camera, and click Intercom icon to talk. The History tab allows to playback video, if you want to see what happened in the morning, afternoon or any other time. The settings menu has many different options. Here you can choose the name for your camera. The next option is to receive notifications. 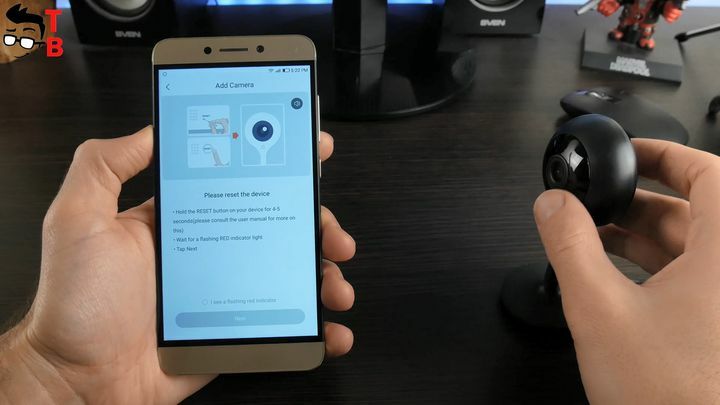 As I already said, the camera send notifications on your phone if the motion or sound is detected. Also you can share the video, setup cloud storage service, network information, SD card. There is option to rotate the camera or turn on/off the LED. The next three options are the most interesting. Meco IP camera has night vision mode. There is an infrared light, which provides clear picture even in total darkness. In general, there are three video modes: automatic, daytime and night. As you understand, the camera in automatic mode automatically chooses the daytime video mode, or if there is not enough light, it will use the night vision. Of course, you can turn off the night mode, and the camera will always use daytime video mode. The next feature is motion detection. 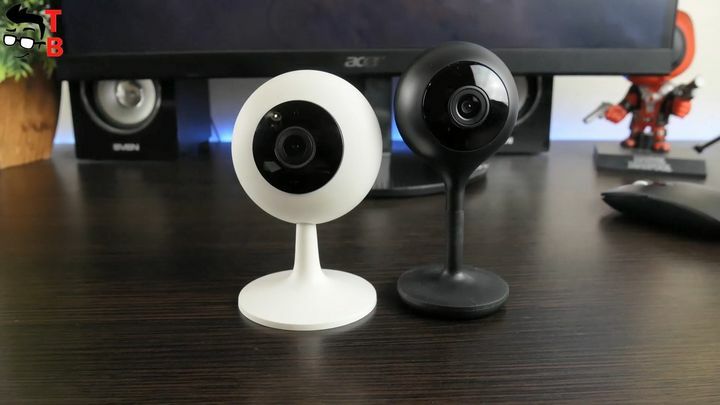 The manufacturer says that Meco WiFi camera uses special AI algorithm. You can set the low or high sensitivity level, and when a motion above the set value is detected, you will receive the notification on smartphone. It is very useful function for pet or baby monitoring, or even security surveillance. Sound detection is similar to motion detection. You can choose the sensitivity level, and if the sound is higher than the set value, then you will receive a notification. In playback settings you can set the length of time that the camera will record when it is triggered: one, two or three minutes. The last option is Sleep mode. 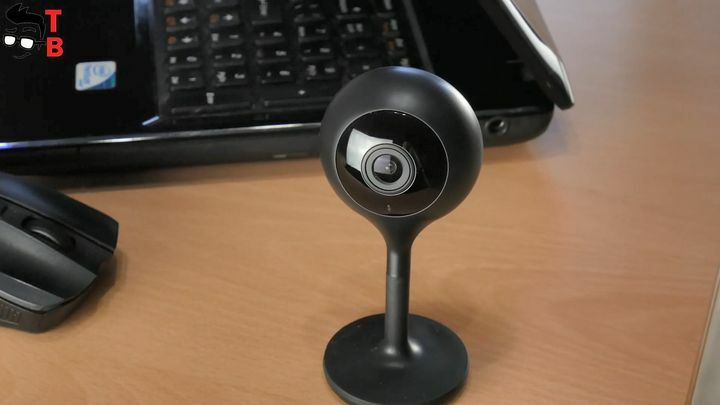 So, it was unboxing and review of Meco WiFi IP Camera. It has very simple, but attractive design with high built quality. The camera records video in Full HD 1080p resolution. There is night vision, sound and motion detection, two-way communication, and even playback video function. It has very good set of functions for $40 camera. Do you agree? By the way, I have 30% OFF coupon code on this camera. I will leave it in description under the video. 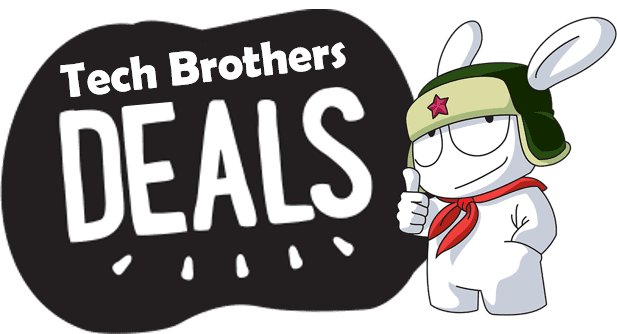 The coupon code is valid until the end of April 2019.